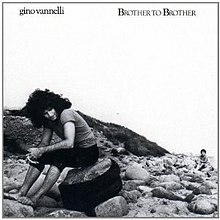 Brother to Brother is the sixth studio album by Canadian singer Gino Vannelli and it was also his last for A&M Records. The album was released in 1978 and featured "I Just Wanna Stop", Vannelli's highest-charting single to date in both the US and Canada, where the single reached #4 and #1 respectively. Two other singles were released from the LP, "Wheels of Life" (U.S. #78, Canada #31), and "The River Must Flow". ^ Vintagesynth.com "Going back to the 70s"